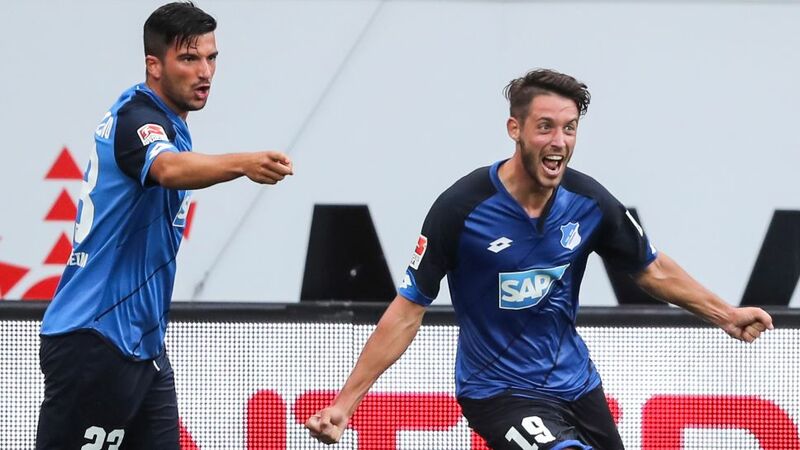 Mark Uth scored twice after coming from the bench in Hoffenheim's 4-4 draw at Mainz on Sunday evening. It was a remarkable game at the OPEL ARENA to round off Matchday 2. Losing 4-1 at half-time to rampant hosts 1. FSV Mainz 05, TSG 1899 Hoffenheim turned on the style in the second half to claim a point in a memorable 4-4 draw. Want to bring the in-form Mark Uth into your Official Fantasy Bundesliga team? Click here to do so! Mark Uth (Hoffenheim striker): "I had a few muscle problems this week and that's why I started on the bench. I would have liked to have helped the team more… We didn't really get into the game and when that happens here you can suddenly find yourself quite far behind. It was pretty loud [in the dressing room] at half-time. We wanted to carry on playing on the front foot, though: at that stage we didn't have anything to lose." Oliver Baumann (Hoffenheim goalkeeper): "The first half was pretty catastrophic. We didn't really defend as a team and made a lot of mistakes - myself included. Mainz deserved to be ahead, but we also gifted them the lead. We kept on believing in ourselves, though, and told ourselves to keep going. It's great that we managed to come back." Want to get closer to the Bundesliga? Click here to download the Official App! Julian Nagelsmann (Hoffenheim coach): "For the fans it must have been a great game, but it wasn't quite that way for me and I'm sure it wasn't for Martin Schmidt, either. All in all, though, the overriding feeling is happiness at taking a point. Of course things got emotional at half-time, but at the end we could even have won the game. We had the chances and if we'd played in a more controlled fashion late on, then there was definitely more there for us."